The Austrian National Tourist Office wants you to know about Austria, understand Austria, and see Austria - even before you go. General visitor information, regional news, and links to valuable details for each of the nine regions of the country. 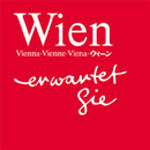 You can get live pictures and weather information from over 100 cameras throughout Austria. Great site to begin planning your visit. Without doubt, you can discover more information about Austria in more areas from the pages and links from this site than you can anywhere. Remarkable details and connections - history, business, art, museums, economy, literature, skiing, education, science, music, video tours, newspapers, Mozart, Schwarzenegger, Freud - everything is here and easily found. This slick site notes "unique tradition and inspired modernity," and they're exactly right. Step directly into the culture and life of Vienna. Select a personal guide from a database, take a sightseeing slide show, book a hotel, look over the training schedule for the Lipizzaners at the Spanish Riding School, or check out the young Vienna scene. Great detail and sense of place. "City of Salzburg, the Stage of the World" is the deserving title of this site where the city of Motzart (and "The Sound of Music")shows itself off to the world. Take the virtual walking tour in the "Getting to know" section and stroll through this wonderful town gathering information in depth as you go. See what's happening in the music calendar, book a room or table or ticket, or find out whose meeting at the new Salzburg Congress facility. Video and 360 degree visuals. Comfortable and informative sight.